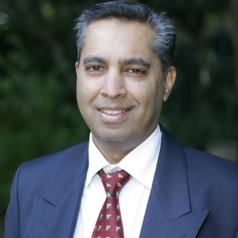 Professor Keertan Dheda is a general physician, pulmonologist, and a critical care specialist who heads up the Division of Pulmonology at Groote Schuur Hospital and the University of Cape Town. He is a visiting professor at University College London, and serves at the convenor of the South African National Pulmonology examinations conducted by the College of Medicine of South Africa. He has published over 150 papers and peer-reviewed journals see link (http://www.lunginstitute.co.za/content/lung_infection.html) and serves on the editorial boards of several high-ranking international journals, including the American Journal of Respiratory and Critical Care Medicine, Lancet Respiratory Medicine, and Nature Scientific Reports. He is regularly quoted in the national and international press see link (http://www.lunginstitute.co.za/content/infection_news.html). He has received the several prestigious national and international awards and accolades, including the 2010 International Union Against Tuberculosis and Lung Disease Scientific Award, the 2013 South African MRC Gold Research Award, the 2014 Oppenheimer Award, and the 2014 National Science and Technology Forum BHP Billiton Research Award. His research interests include the diagnosis and management of pulmonary infections, including multi-drug-resistant tuberculosis, whilst his clinical interests include interventional pulmonology, infections in the ICU, and airways diseases (asthma and COPD). He is the Head of the Interventional Pulmonology Programme at Groote Schuur Hospital and supervises the only programme in Africa to offer bronchial thermoplasty, a novel new airway-orientated heat treatment for asthma.